Whether it’s from eating lunch on the go or just daily dirt, the inside of your car gets dirty. We’ve checked out the best car interior cleaners for cleaning up the inside of your car so it looks as good as new again. You’ll be surprised how quickly dirt and dust accumulate in your car. Even if you never eat in it or taking it off-roading, daily use leads to a slow accumulation of dust and grime on everything. Each part of your car needs a different approach too—from wiping plastic dashboards to cleaning up leather or cloth seats. And let’s not forget the carpet, or the fact that your GPS loves to collect fingerprints. Besides the products here, we strongly recommend you check out our general look at car cleaning implements. Microfiber cloths and detail brushes, in particular, are great for helping you tidy up in the interior of your car. Here’s a look at all our favorite car interior cleaners. A one size fits all style interior cleaner is a good starting point. Even more so if you’re not too bothered about using multiple different cleaners on your car interior. 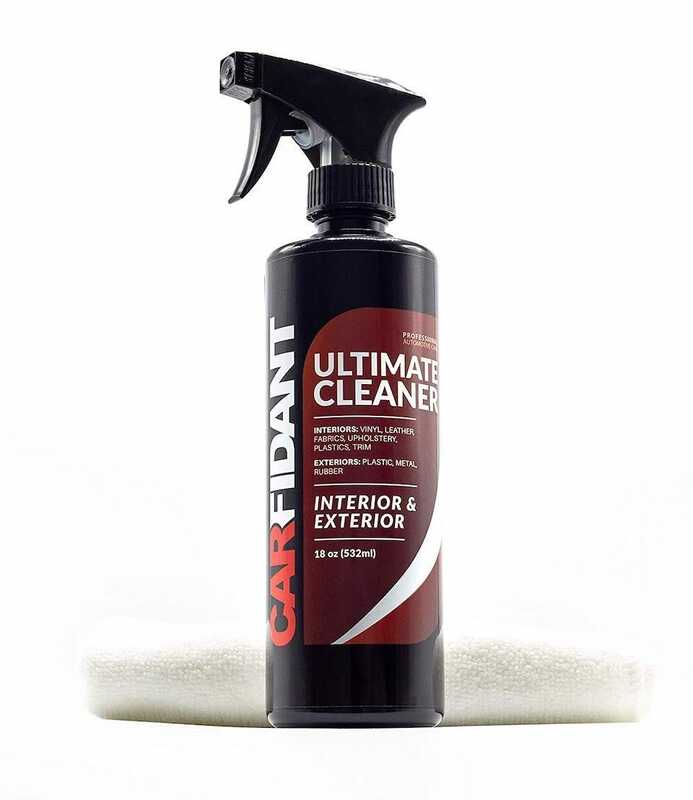 This Carfidant Ultimate Interior Cleaner does a little bit of everything well. 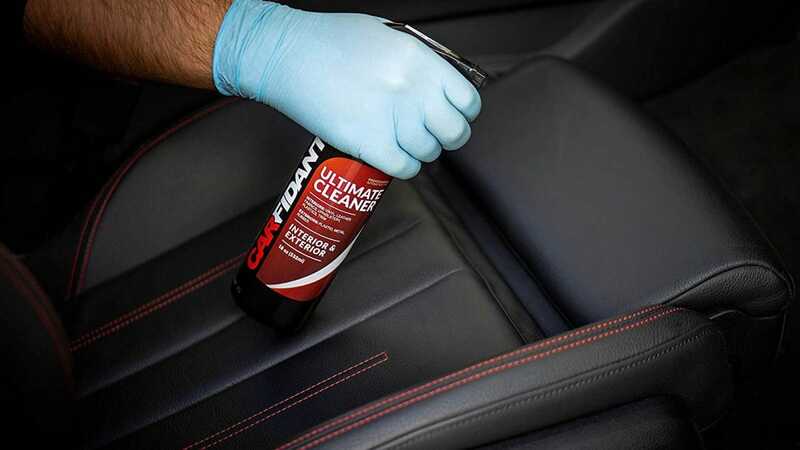 Simply spray it onto a microfiber cloth, and you can use it to clean leather or cloth seats, carpets, mats, upholsteries, dashboards, vinyl, and plastic. It’s that versatile. There’s no heavy scents and impressively it’s gentle enough to be safe on painted surfaces. It’ll still do a tough job on clearing dirt though and you’ll get a lot of mileage out of it. Carpets in cars have to withstand a fair amount of stress. You might not be walking around on it, but the constant movement of your feet as you move between pedals is sure to have an effect on the carpet. Throw in the fact you’re constantly bringing in dirt from the outside, and you need a good carpet cleaner. 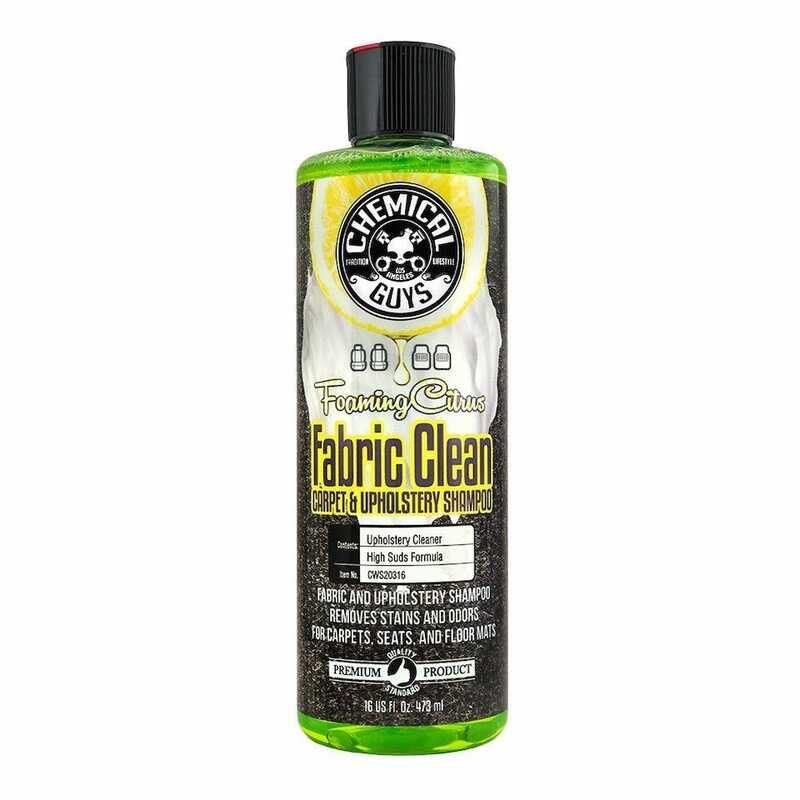 The Chemical Guys Foaming Citrus Fabric Clean and Upholstery Shampoo is a good bet. Its high-sudsing foaming action lifts dirt and stains easily with a stain remover that breaks down set-in stains. It smells pretty nice too so it’ll easily override any nasty odors left over. 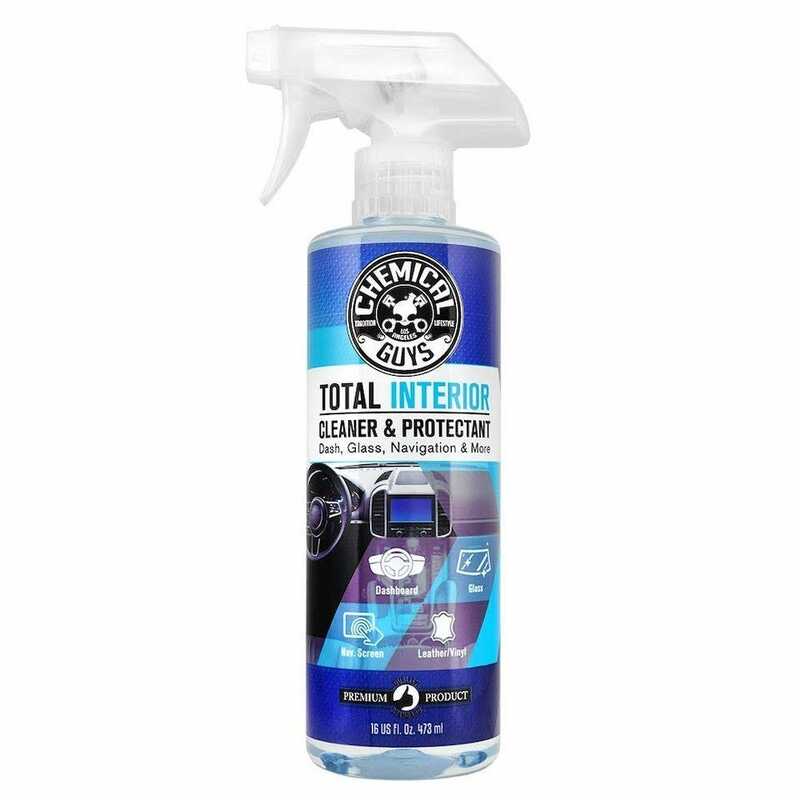 As the name suggests, it doubles as an upholstery cleaner too so it’s safe to use to clean your seats. Your dashboard, door panels, steering wheel, and other plastic items within your car stay in constant contact with the sun. That’s far from good news if you don’t protect them. That’s where Adam’s Interior Detailer comes into play. It has advanced UV protection so it helps combat the detrimental effect the sun has on your car’s surfaces. It doesn’t stop there either. It also easily removes dust, grime, and body oils from your car’s interior, all with a quick wipe of a microfiber cloth. An anti-static property means the dust won’t immediately return to your interior the second you finish either. There’s a nice fresh eucalyptus mint scent to enjoy too. Remember when you first bought your car and the built-in GPS/navigation screen looked spotless? And you touched it and it never looked the same again? We know how frustrating that gets. You can use a microfiber cloth to clean some of it off but it’s not the same as using a dedicated cleaner. 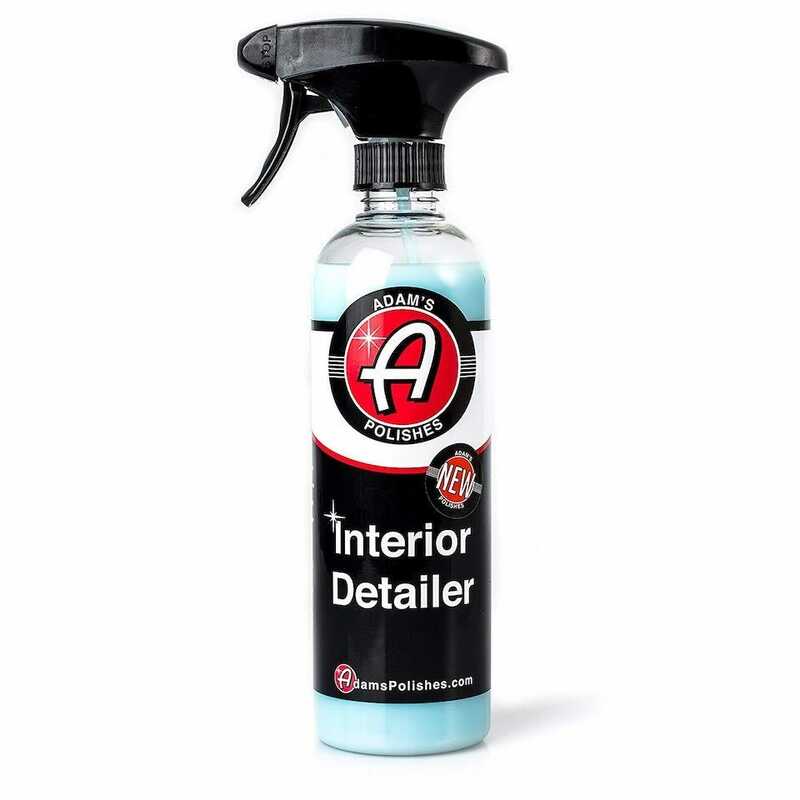 You need a cleaner that also won’t spot or stain any other part of your car, simply because you sprayed a little liberally. That’s why we suggest Chemical Guys’ Total Interior Cleaner. It’s safe for pretty much everything in your car, but we recommend it the most for your navigation screen and your windows. It has a gentle formula that also manages to protect against fading and discoloration too. It’ll keep your navigational screens and window interiors looking as good as new forever more.